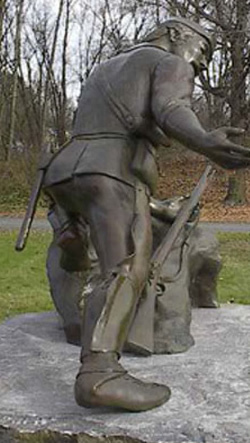 On May 30, 2005 Alice Manzi's life-sized bronze sculpture of Robert Rogers, the French and Indian War hero, was unveiled on Rogers' Island in Ft. Edward New York. 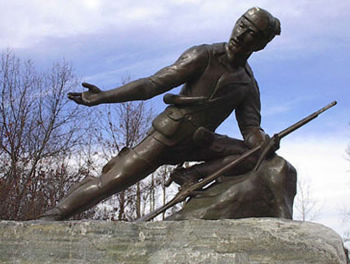 Rogers was considered by many the founder of the modern day Army Rangers in that he wrote the Rules of Ranging still in use by the US Army today. Rogers was memorialized by the Hollywood film Northwest Passage starring Spencer Tracy as Rogers. The statue will be the centerpiece for a new historical park with museum and interpretive trails on the Island. 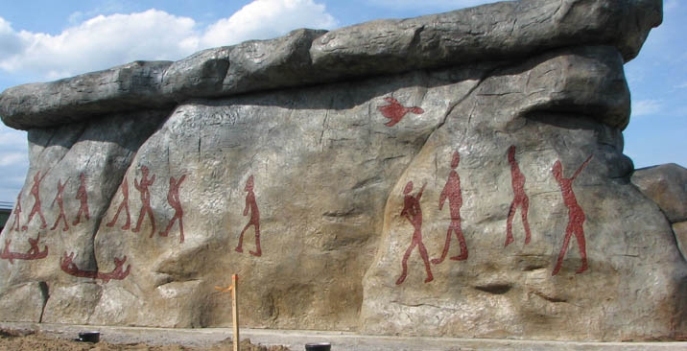 In 2011 Alice was hands on with the fabrication of The Painted Rocks of Amsterdam, her re-creation of a famous Mohawk Indian rock painting in the city of Amsterdam, NY. See PaintedRocksofAmsterdam@blogspot.com for photos and information about this historic project. The Painted Rocks have become NEW YORK STATE's NEWEST TOURIST ATTRACTION.